Across the board, incarceration facilities do two things well: they prevent violent offenders from wreaking havoc upon the state, and they satisfy the shelter, sustenance, and medical needs of varying prisoner populations. Unfortunately, jails and prisons make it hard for inmates to practice making the right decisions, due to the lack of available choices. Compared with life on the outside, prisoners have only a handful of ways they can express their agency. In part, this is by design. Correctional facilities are concerned primarily with security, and in light of that, some inmate choices must be restricted. Even so, without the option, inmates can only help themselves so much. However, what if there was a way to return a sense of choice to people on the inside? Better yet, what if there was a way inmates could practice making positive life decisions before their sentences end? Returning a sense of choice to inmates could have profound impacts on recidivism. But how do we know what options to offer, or how to frame them? Before we can use choice to improve post-incarceration outcomes, we have to understand more about it. Think about this phrase: “I had no choice.” How many times throughout history has that statement been used to justify something terrible? When people feel like they have no options, they are forced to act. Little time is spent pondering the consequences, or how our actions may impact the people around us. Because of that, we make rash decisions. When we lose customers, friends, or lovers, it’s not because we took a calm, rational approach to the situation. In most instances, we make mistakes when our emotions get the best of us. Without choice, we are living life without self-control. Self-control is just a series of choices. Sure, they are often hard choices to make. There’s nothing easier than losing your temper. And sure, these self-control choices must be consciously made on a recurring, moment-to-moment basis, but that only makes practice all the more relevant. The more often a person makes positive decisions, the more relaxed those choices become. In fact, self-control is so vital that Professor Richard Nisbett—the world’s greatest authority on intelligence—plainly stated that he’d rather his son be high in self-control than highly intelligent. This is where jails and prisons can make the most significant impact. Maybe not in the quality of decisions that are made, but in the consistency. An incarceration facility is a micro-society. The choice is limited, but because the same incarcerated person can make the same decisions over and over again over the duration of their sentence, incarceration is a powerful vehicle for reinforcing choice habits. Right now, the evidence shows that U.S. correctional facilities are reinforcing the wrong habits. All of this is to say that without choice, and especially good options, we are the prisoner of our emotions. Imagine this: alongside its usual junk-food staples like soda and candy, a commissary provider includes healthier options like fruit or whole-grain granola bars. 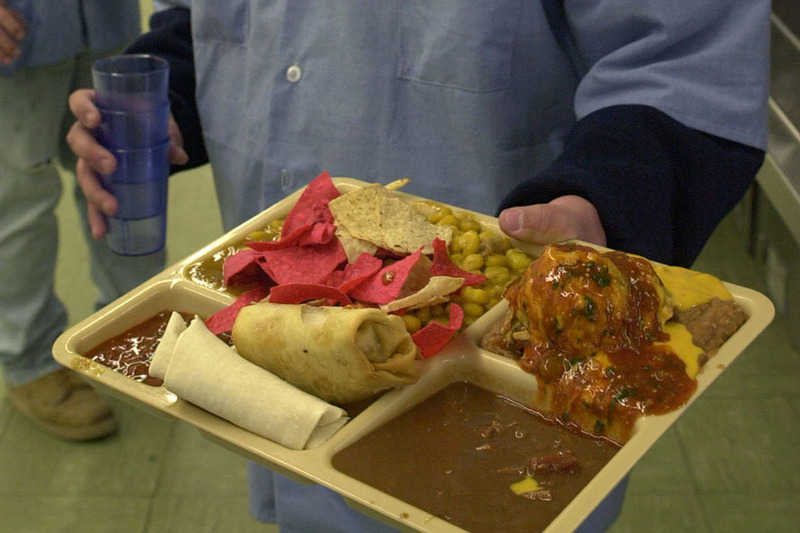 Now, inmates have the choice between snacks that are healthy or unhealthy; provided costs are controlled for. On the one hand, they have the instant gratification and sugar-rush that a candy bar offers. On the other, they improve their long-term health. Just by adding more options, the commissary has provided inmates with the opportunity to make a value judgment. This example could be made even more efficient by encouraging inmates to create positive, long-term choices; either by way of price incentives or digital signage campaigns. Of course, not every behavioral problem can be solved by adding tangerines to the commissary. Many of the people who end up in prison have corrupted perceptions of right and wrong that were ingrained in them over a lifetime. But if jail administrators think about choice as a tool, instead of as an afterthought, prisons and jails could improve recidivism rates by incentivizing positive behavioral change. The smartest people in our society create their positive options. They don’t wait for someone to give them a handout or tell them it’s okay to solve a problem. They just do it. Nobody listed “Become the first black president of South Africa” as an option on Nelson Mandela’s commissary request form. He made that happen himself. Unfortunately, the majority of the prisoners in the U.S. Justice system aren’t naturally gifted human beings. They’re regular people living regular lives who somewhere down the line, made the wrong choice. Incarceration facilities shouldn’t just punish people for making bad decisions; they should prepare them to make better ones in the future.